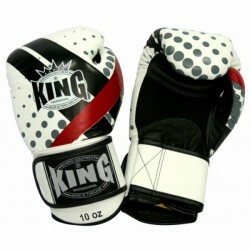 The Booster BGK Fantasy 4 Boxing Gloves feature an excellent quality and ergonomic workmanship. They are the perfect choice for beginners and pros - for an effective training with partner or a punching bag, fo rboxing as well as Muay Thai. The long hook and loop fastener provides a high stability without losing comfort. Due to the sewn on thumbs, the risk of injury is reduced. High-quality 100 % premium leather make the Booster BGK Fantasy 4 Boxing Gloves very hard-wearing and gives them a long durability even for intensive workouts.